FireStick Giveaway #001: Win a FREE Amazon Fire TV Stick! Win a FREE Amazon Fire TV Stick! 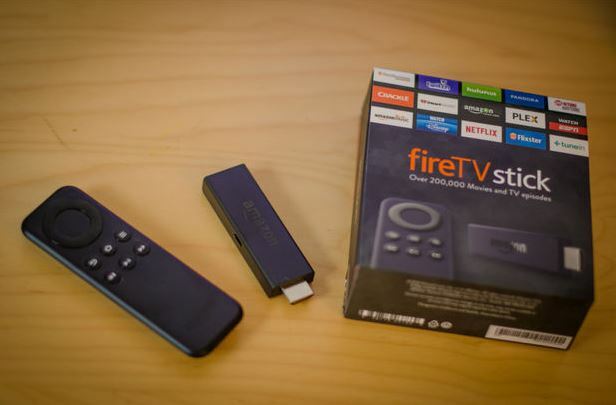 You’ve reached KFireTV’s first FireStick giveaway (of many more to come)! KodiFireTVStick.com is giving away a brand new [easyazon_link identifier=”B00GDQ0RMG” locale=”US” tag=”arizonacaorg-20″]Amazon Fire TV Stick[/easyazon_link] to our awesome fans! How do I Enter to Win? Use the entry form on this page to enter the contest. Summary: You could win a free Amazon Fire TV Stick (brand new, unopened, in box) by entering the contest with simple actions like Visiting us on Facebook (see all entry options below)! Here’s the low-down on the contest.. Enter the giveaway for free (below). Contest starts 9/11/2016 at 5PM Arizona time, ends on 9/19/2016 at 9AM Arizona time. We will announce the winner on this page and at http://Facebook.com/GetKodiFireTV at the end of the giveaway. What’s This Giveaway All About? This giveaway, which we’re calling the Firestick “Never Forget” Giveaway, is for the purpose of showing love to our fans! We appreciate our visitors and the support they give us, so this is our way of giving back. Stream on. How Many People Will Win a Firestick? For this giveaway, just 1. But in future giveaways there may be more than just one winner! Non-U.S. Winners will receive a $40 Amazon Gift Card instead of a Firestick, due to International shipping costs. When Does the Firestick Giveaway Start? Monday, September 12, 2016 at 9AM Arizona time. When Does the Firestick Giveaway End? Monday, September 19, 2016 at 9AM Arizona time. I want a fire stick bad.